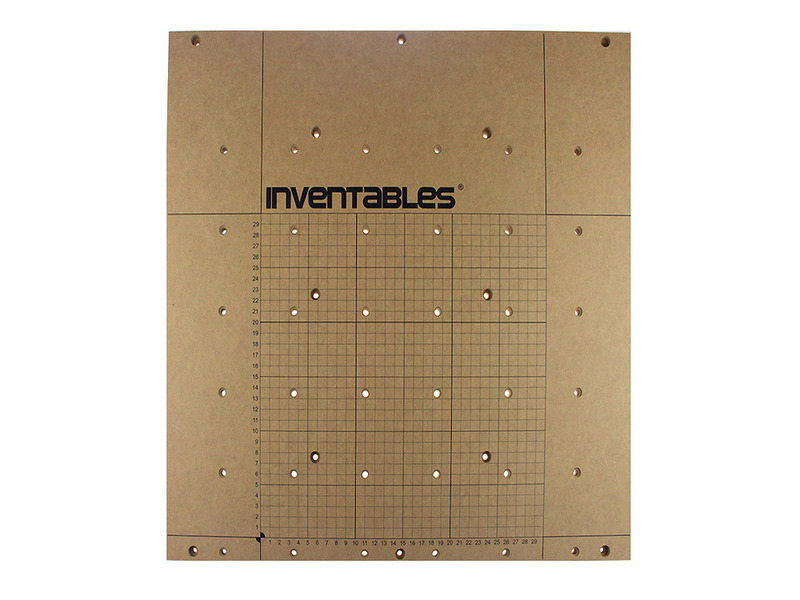 For the 1000mm X-Carve, the wasteboard costs $128. I figured I could save most of that money by making my own. From what I figured I’d need a 4×4′ sheet of 3/4″ MDF, which would be less than $20. Instead of using threaded inserts and special hold downs, I’d cut T-slots into my wasteboard. What I didn’t realize was that I would be missing important hardware to assemble the X-Carve by not buying theirs. The only way I figured this out was because I was on my phone at Home Depot looking to see what MDF thickness I needed to buy for the wasteboard. As I was searching I came across this thread on the Inventables community forum. After I got home I also found this thread. Originally, Inventables included the support extrusions with the wasteboard, but later put them in the rail kit so people would be able to make their own wasteboard. What they still don’t tell you is that you need this additional hardware. Since I’m planning on using T-slots, I don’t need the 144 threaded inserts, but I’ll still need the T-Slot nuts and the screws for attaching the wasteboard to the support extrusions.and the rest of the X-Carve. In the two threads, I wasn’t able to find the correct part numbers to order. They kept listing the parts by their single unit part numbers or their kit part numbers, not the part numbers you could actually order from the site. So here is part of the invoice I received after ordering what I think are the correct parts. Ouch! They charged me $7.48 for shipping some small bags of hardware? I tried looking for other sources, but they were the cheapest. For future reference you can find a list of parts used and the corresponding part numbers for each step in the instructions.